DBC are one of only 5 Operator and Trainer IRATA Member Companies in NSW. 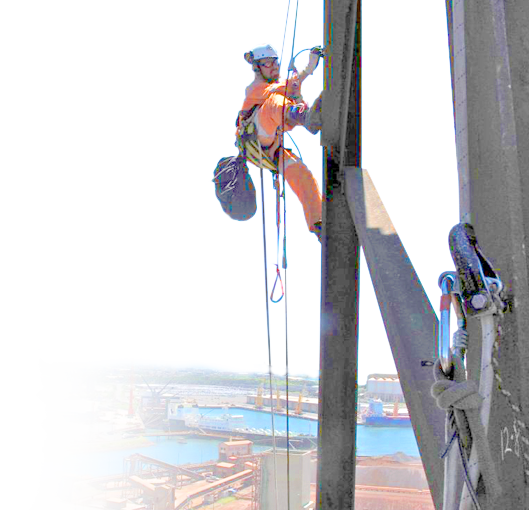 We are a professional rope access resource with years of experience carrying out industrial maintenance. DBC is a member company (4024/OT) of the peak international trade association for rope access: the Industrial Rope Access Trade Association (IRATA). We only provide IRATA certified technicians and procedures. Our clients can be assured that DBC's management systems, equipment, training and work methods have been audited by IRATA to the highest international standard for rope access. Watch out for the authentic IRATA member company logo with the Member tag if you want all the assurances listed above. DBC's reputation for reliability and safety is underpinned by our status and experience as an IRATA company. 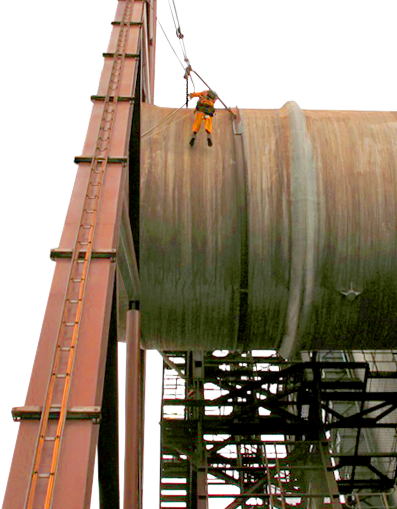 We established in 1998 to provide rope access for industrial inspection and maintenance services. 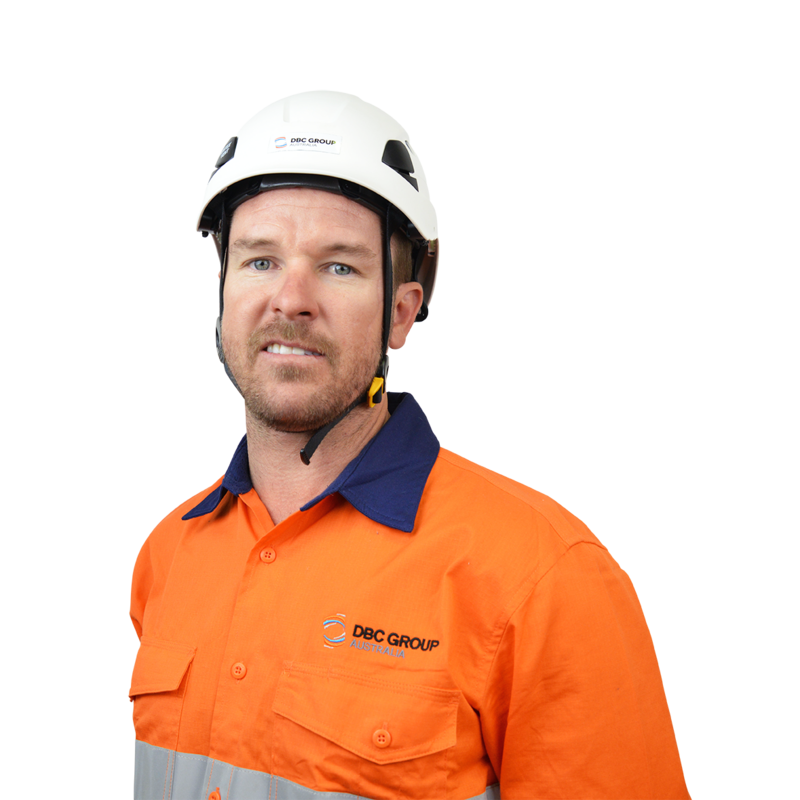 Since then, DBC have pioneered the use of rope access in heavy industry in Australia: integrating rope access with Lahyer scaffold, engineering rope access approaches for confined spaces and most recently internal vessel inspections by UAV. 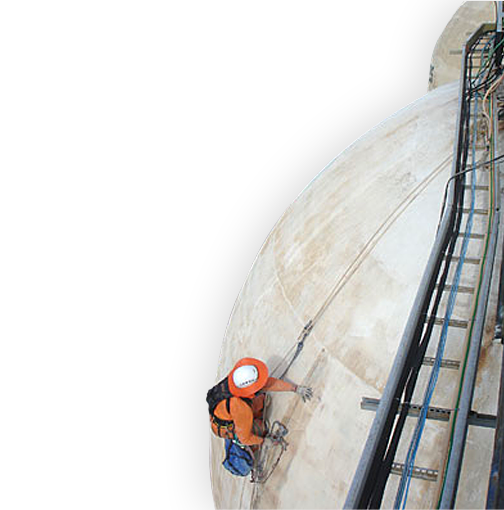 DBC has extensive experience providing rope access trade services and an impeccable safety record. We have assembled considerable resources which means our team is versatile and capable of responding quickly to maintenance opportunities with our own trade technicians, plant and equipment. DBC work teams are known for their quick response to problem solving, high level of rope access, supervisory and trade skills. All DBC employees are energetic and healthy for work. We give 100%. 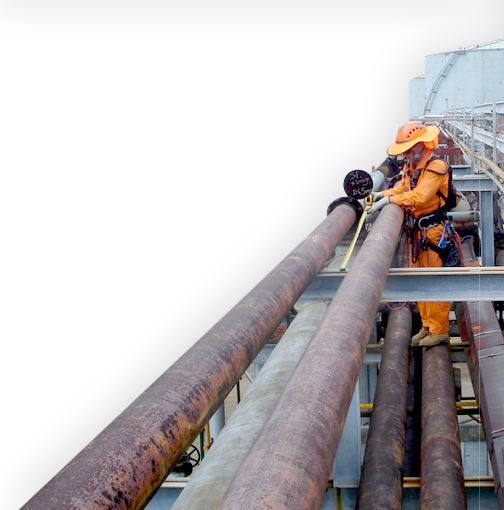 Our team is focused on the work scope whilst maintaining safety and quality as a priority. DBC is dedicated to working safely and committed to continually improving our management systems for workplace health and safety, quality and the environment. DBC works collaboratively with our clients to develop Safe Work Method Statements, Safety Management Plans and Inspection Test Plans to ensure all aspects of safety and quality are addressed. DBC acknowledge the need for a robust management system that our clients and team can trust. DBC uses a cloud based/ iOT Integrated Management System (IMS) for this purpose. The IMS demonstrates DBC’s dedication to ensuring customer satisfaction by maintaining a relevant and active management system. The IMS contains our: Workplace Health & Safety Management Plan, Quality and Environmental Management Plans. Our company’s management plans are documents that work to inform our management practices and company culture EVERY DAY and they ensure we continue to work as a team to the highest standards. DBC Management Plans are based on the prevention of nonconformity and the promotion of continual improvement in line with our industry accreditations and our certification to International and Australian standards for Safety, Health and Environment. DBC are pleased to announce we are now certified to the stringent requirements of the NSW Government WHS 5th Edition enabling our participation in construction and infrastructure projects for NSW Government. Approved for Roads & Maritime Services State-wide Scaffolding Panel Contract for design, erection and dismantling of scaffold (works) for RMS. and a member of The Australian Industry Defence Network. DBC Group Australia was established in 1998 as David Bell Consulting Pty Ltd. The name changed in 2015. Our head office, training facility and workshop premises are located on the south coast at 177A Princes Hwy, Bulli, NSW. We provide services Australia-wide. 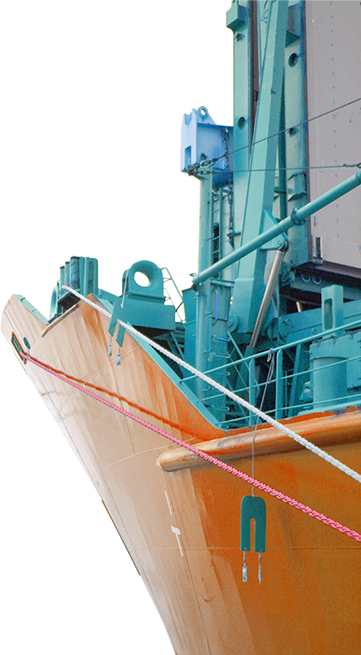 Our initial experience was gained in the 1990's in the extremes of the oil and gas fields off the North Sea and Timor Sea. Twenty five years on, our onshore reputation continues to grow as the mature, quiet achievers with a wealth of unrivalled experience in industrial maintenance. DBC innovate, integrate and deploy new technologies and systems in consultation with our clients. 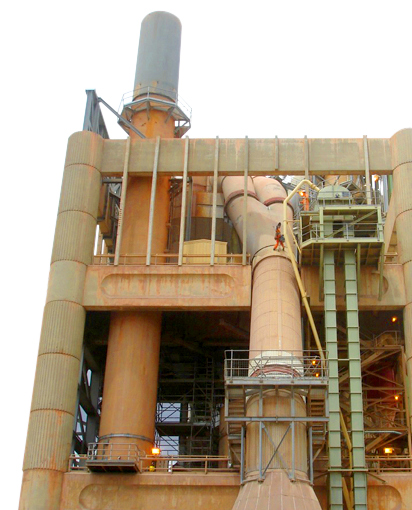 Lessons learnt across petrochemical, cement, water, energy, marine, steel and alumina industries have demonstrated that a synergistic approach with two or more different types of access in play is often the best all round solution. THE AUSTRALIAN CONSERVATION FOUNDATION & THE CLIMATE COUNCIL Because of our stance on the protection of global resources, biodiversity and the importance of sustainable environmental work practices, we provide financial support for the work of the Australian Conservation Foundation and the Climate Council. REFUGEE ADVICE & CASEWORKER SERVICE (RACS) DBC supports the work of RACS. A not-for-profit refugee legal service, which provides expert advice and casework assistance to financially disadvantaged individuals seeking asylum both in the community and in immigration detention. RACS are also actively involved in policy reform, public education and advocacy. Each year DBC provides financial support to community, sport and other not-for-profit organisations in the Illawarra.